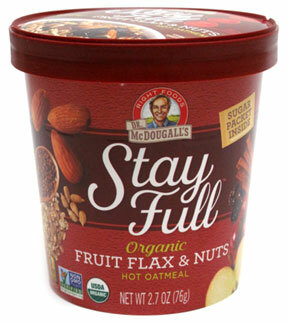 Dr. McDougall's Stay Full Organic Hot Oatmeal has generous portions of tasty organic oats, fruits, nuts, flax and chia seeds to help you start your day off on the right foot! 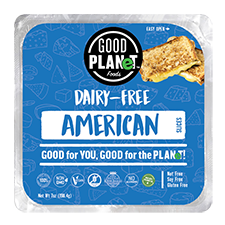 It's an excellent source of fiber as well as ALA-Omega-3s, it tastes great with or without the included sugar packet, and contains 9 grams of healthy plant-based protein per serving. 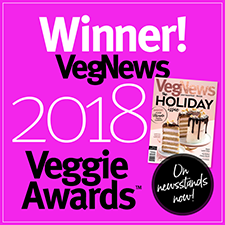 Just add boiling water, or, add water to the fill line and microwave for 90 seconds for a healthy, nourishing vegan breakfast in a hurry! 2.7 oz. (76g) cups are $2.49 each.